The increasing amounts of data in computer vision requires robust tools to extract most important information from large collections of data. The summarization problem addresses this challenge by finding a small subset of most informative data points from large datasets. However, summarization often leads to optimization programs that are nonconvex and NP-hard. While (non)convex programming and submodular optimization have been studied intensively in mathematics, successful and effective applications of them for the problem of information summarization along with new theoretical results have recently emerged. These results, in contrast with more classical approaches, can deal with structured data, nonlinear models, data nuisances and exponentially large dataset. The goal of this tutorial is to present the audience with a unifying perspective of this problem, introducing the basic concepts and connecting nonconvex methods with convex sparse optimization and submodular optimization. The presentation of the formulations, algorithms and theoretical foundations will be complemented with applications in computer vision, including video and image summarization, procedure learning from instructional data, pose estimation, active learning and more. 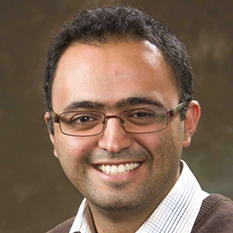 Ehsan Elhamifar is an Assistant Professor in the College of Computer and Information Science and is affiliated with the Department of Electrical and Computer Engineering at Northeastern University. He is the director of the Mathematical, Computational and Applied Data Science (MCADS) Lab at Northeastern University. Previously, he was a postdoctoral scholar in the Electrical Engineering and Computer Sciences Department at the University of California, Berkeley. He obtained his PhD in Electrical and Computer Engineering from the Johns Hopkins University in 2012. Dr. Elhamifar obtained two Master’s degrees, one in Electrical Engineering from Sharif University of Technology in Iran in 2006 and another in Applied Mathematics and Statistics from the Johns Hopkins University in 2010. He was a visiting researcher at Stanford University, University of Minnesota and Duke University for several months during 2011 and 2012. Prof. Elhamifar’s research areas are computer vision, machine learning and optimization. He is broadly interested in developing efficient, robust and provable algorithms that can address challenges of complex and large-scale high-dimensional data. He works on applications of these tools in computer vision and robotics among others. 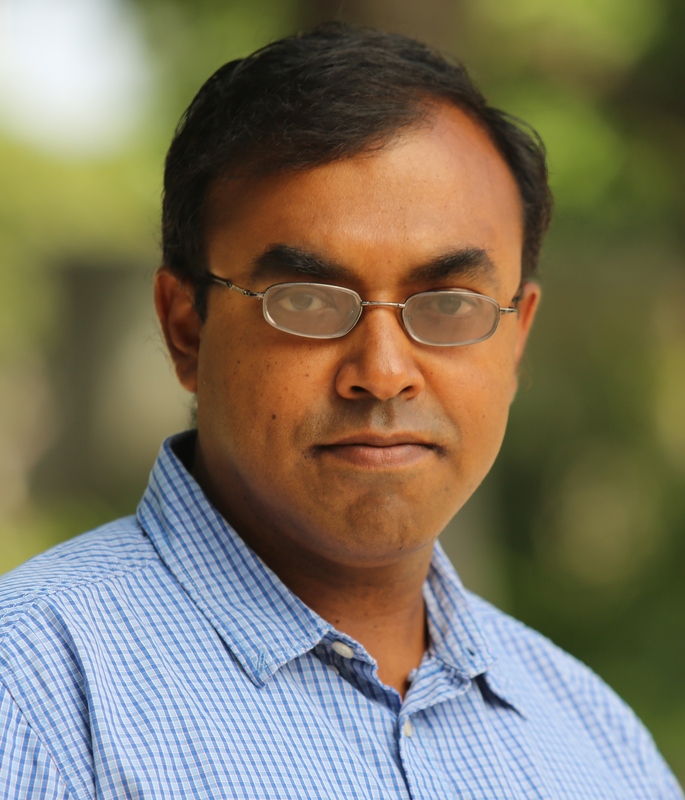 Amit Roy-Chowdhury leads the Video Computing Group at UCR, with research interests in computer vision, image processing, pattern recognition, and statistical signal processing. His group is involved in research projects related to camera networks, human activity recognition and prediction, video summarization, face recognition, and bioimage analysis. The underlying approach of his research is to harness various methods in systems theory, signal processing, machine learning, mathematics and statistics to the analysis of images and videos in order to obtain an understanding of their content. This scientific understanding can lead to machine vision technologies that can provide an automated/semi-automated analysis of the 3D environment from images/videos, analogous to the capabilities of biological visual systems. Prof. Roy-Chowdhury’s research has been supported by various government agencies including the National Science Foundation, Office of Naval Research, Army Research Office, DARPA, National Endowment for the Humanities, and private industries like Google, CISCO and Lockheed-Martin. He is an author of the book Camera Networks, the first monograph on the topic. He serves on the editorial boards and program committees of major journals and conferences in his area. 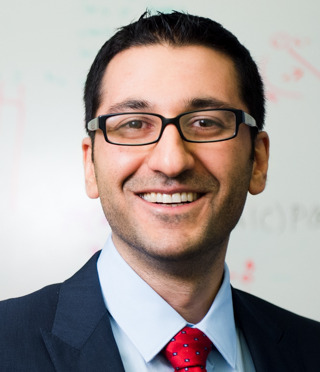 Amin Karbasi is currently an assistant professor of Electrical Engineering and Computer Science at Yale University. He has been the recipient of AFOSR 2018 Young Investigator Award, Grainger Award 2017 from National Academy of Engineering for interdisciplinary research, Microsoft Azure research award 2017, DARPA 2016 Young Faculty Award, Simons-Berkeley fellowship 2016, Google Faculty Award 2015, and ETH fellowship 2013. His work has been recognized with a variety of paper awards from Medical Image Computing and Computer Assisted Interventions Conference (MICCAI) 2017, International Conference on Artificial Intelligence and Statistics (AISTAT) 2015, IEEE ComSoc Data Storage 2013, International Conference on Acoustics, Speech, and Signal Processing (ICASSP) 2011, ACM SIGMETRICS 2010, and IEEE International Symposium on Information Theory (ISIT) 2010 (runner-up). His Ph.D. work received the Patrick Denantes Memorial Prize 2013 for the best doctoral thesis in the School of Computer and Communication Sciences at EPFL, Switzerland..